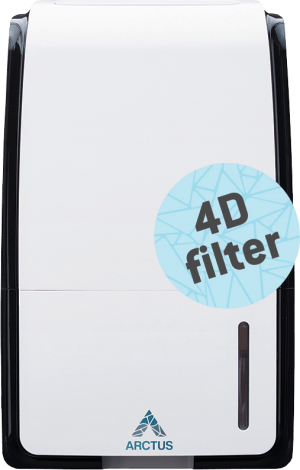 Arctus Fenja 20 is an air dehumidifier with an extra 4D filter. Modern air dehumidifier that effectively dehumidifies and cleans your spaces. This air dehumidifier suits you with a basement house, for you with a laundry room or if you simply want to quickly and efficiently dry your clothes. Fenja 20 is a stylish air dehumidifier with smart features and easy user interface. It is quiet, easy to move and has a user-friendly water tank that is easy to change without water spillage. Dehumidifier Fenja 20 is prepared for continuous drainage via hose connection. 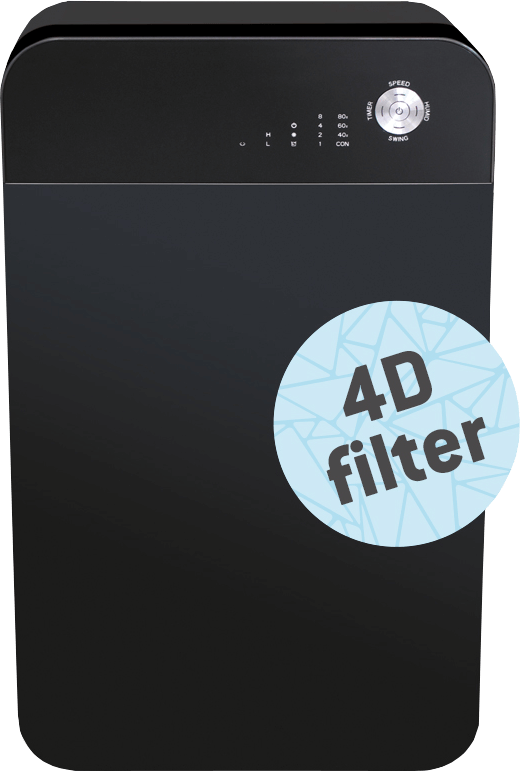 The new Fenja 20 dehumidifier comes with both a 4D filter and a dust filter. 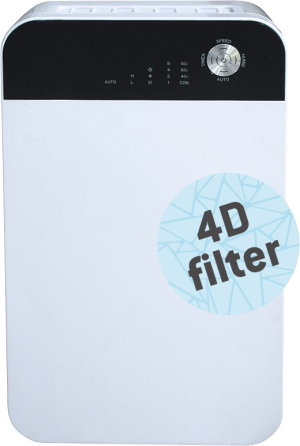 The extra 4D filter is for those who want to counter mold, fungus and bacteria – factors that contribute to poor air. Other smart features are automatically restarted during power outages, selectable dehumidifying mode, timer, fan modes and auto full stop stopper. Fits surfaces up to 60 m2.